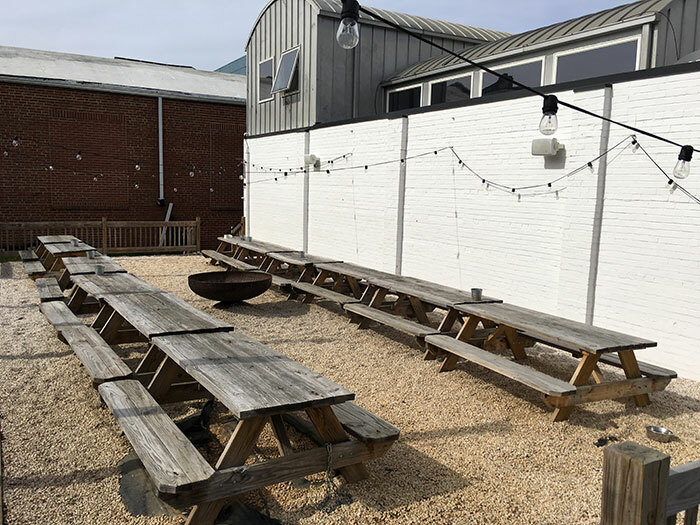 Dan and Alyson Davis set out to create an adult candy store for beer lovers and foodies — and they’ve succeeded with Craft Growler Shop & Tasting Room in South End. Dan & Alyson (husband and wife) are from Tennessee, but lived in NYC for 12 years before moving back South to Charlotte about 5 years ago. 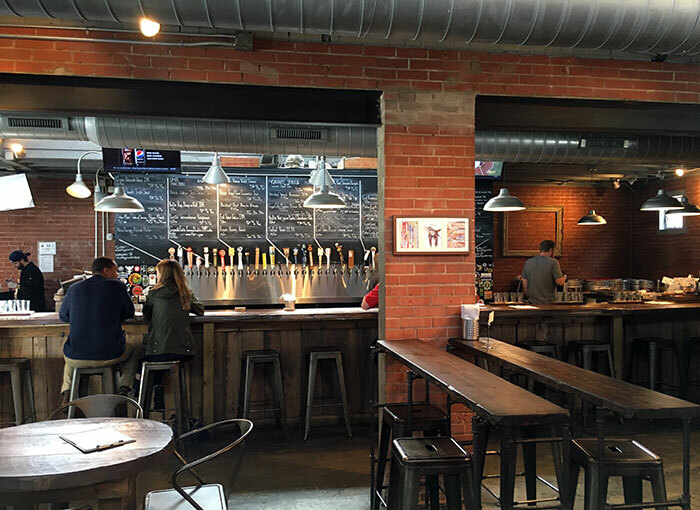 Craft offers a chill vibe, classic design aesthetic, focused food menu and 36 rotating draft beers. 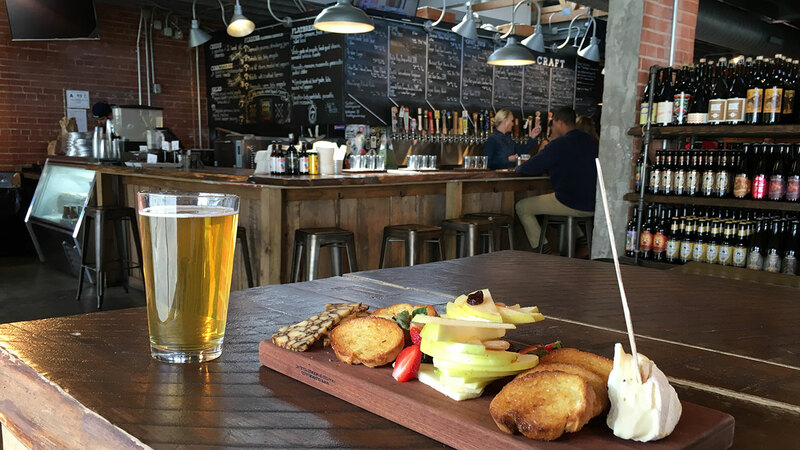 It’s got the perfect neighborhood vibe and is arguably the coolest happy hour destination in Charlotte. 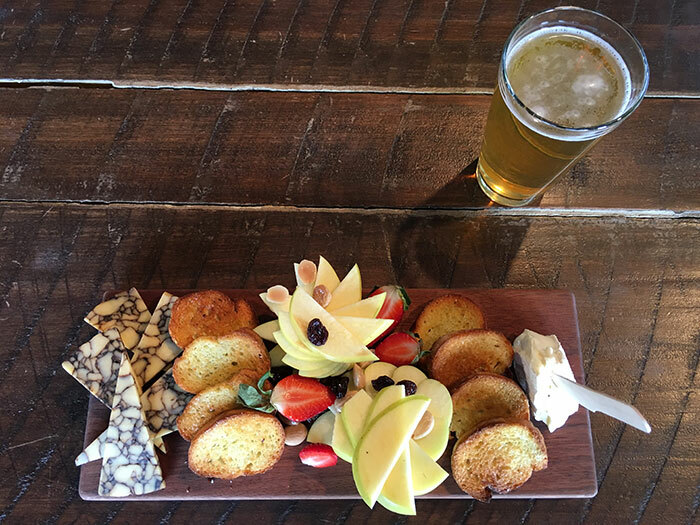 In case you need an extra push to try Craft for the first time or just another reason to increase your frequency, a cheese plate at Craft is $6 on Wednesdays (it’s normally $9). 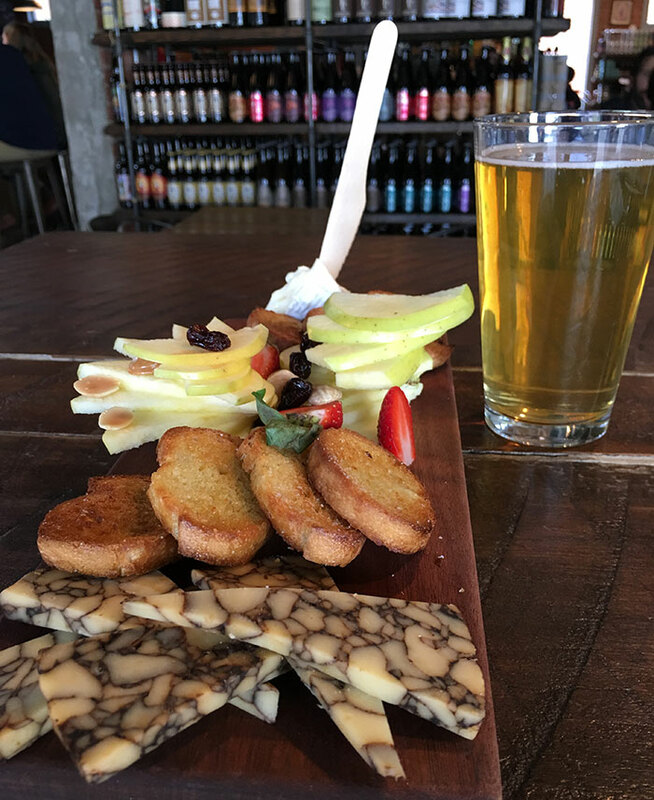 The cheese plate will make you feel fancy as you talk with your buddies about your March Madness bracket while drinking a draft Hop, Drop ‘n Roll on their picnic table. 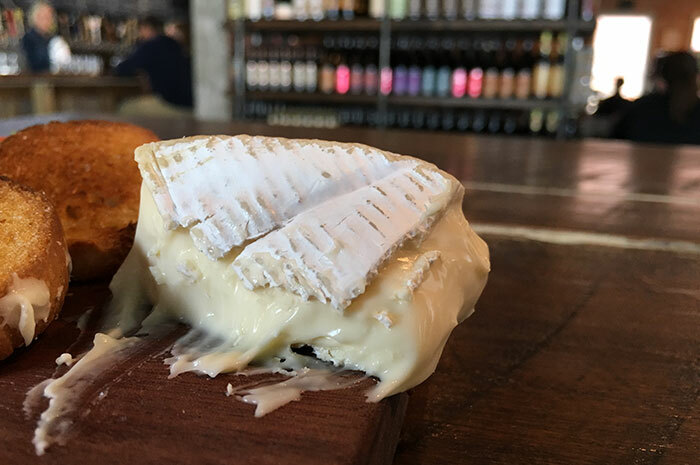 Don’t be fooled by the fact that this cheese smells a little funky, it’s delicious.